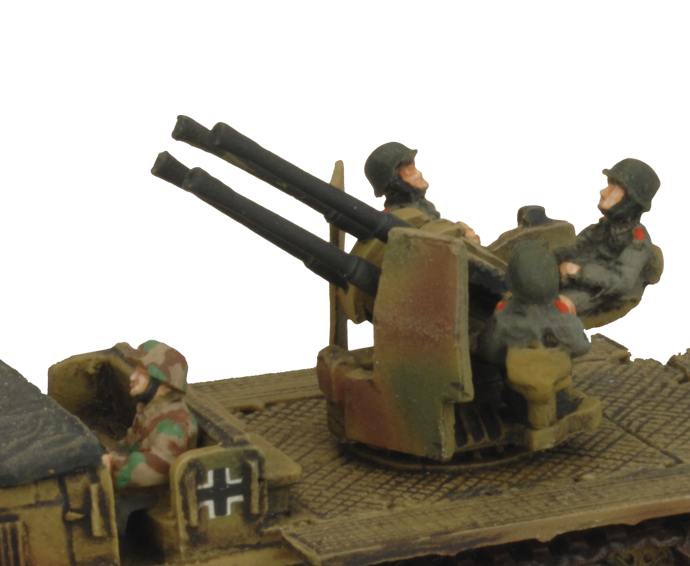 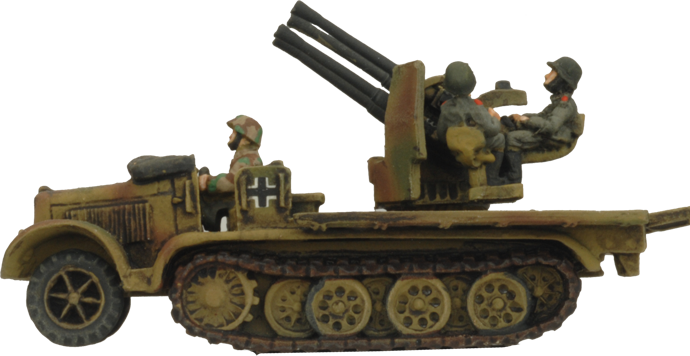 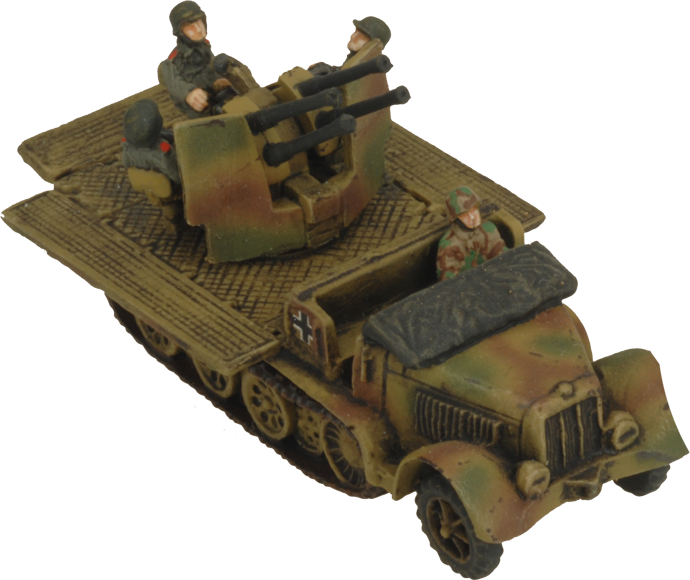 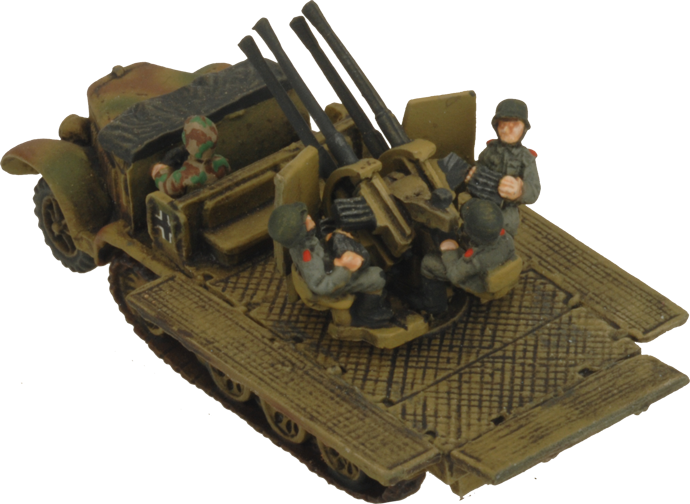 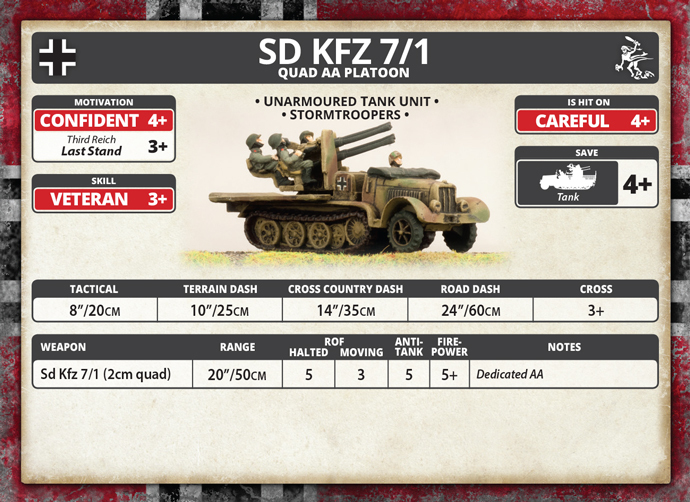 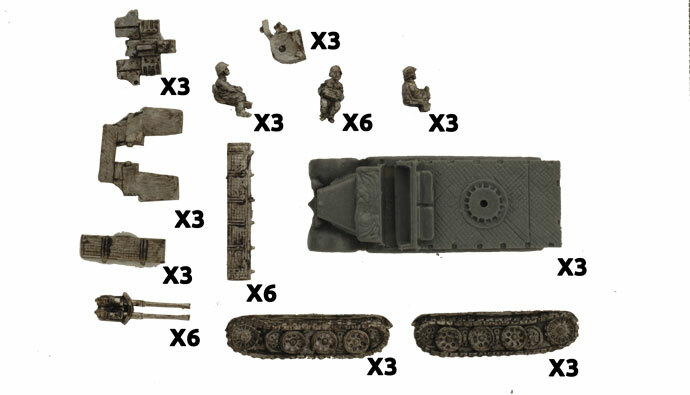 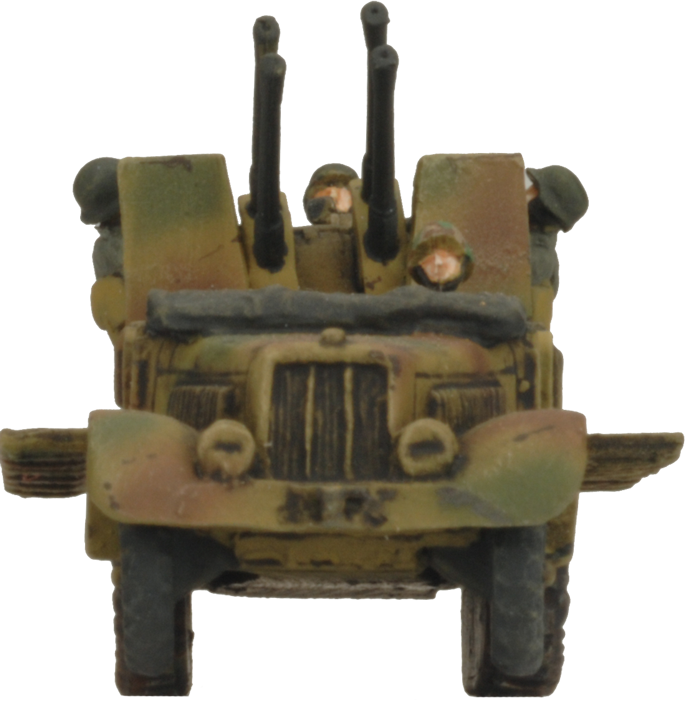 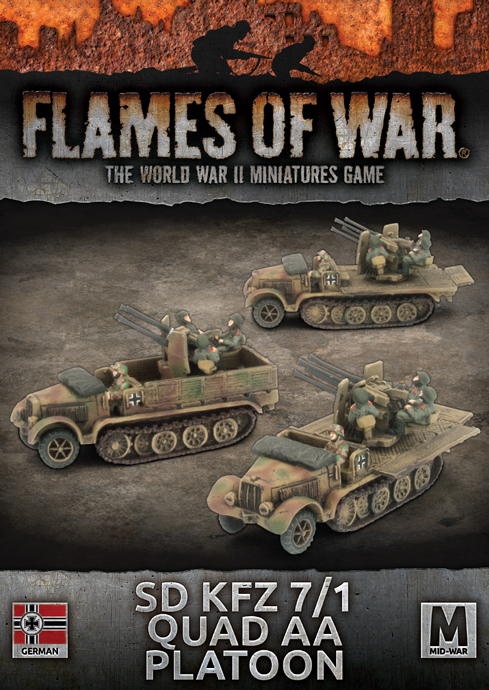 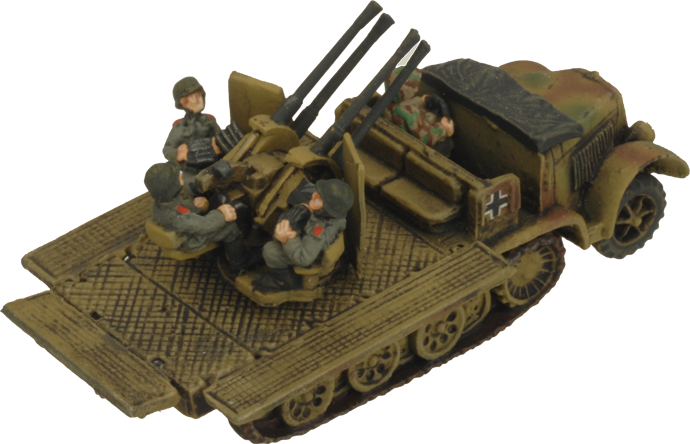 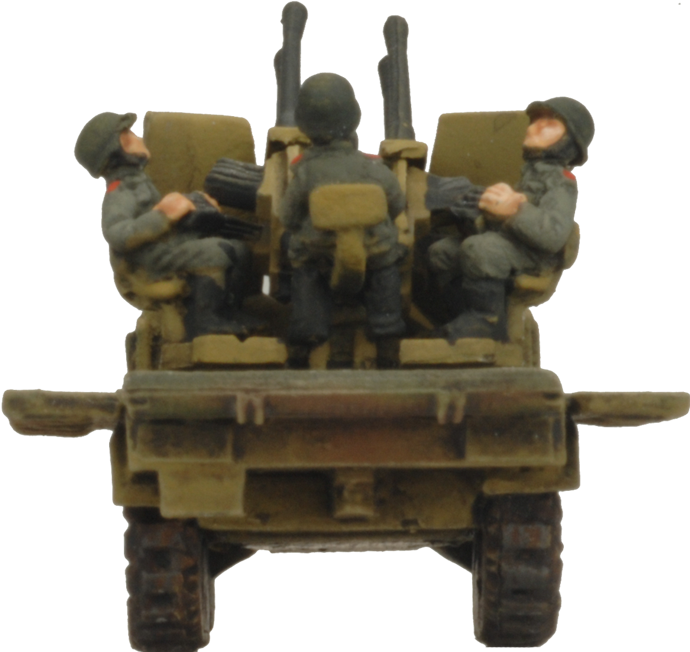 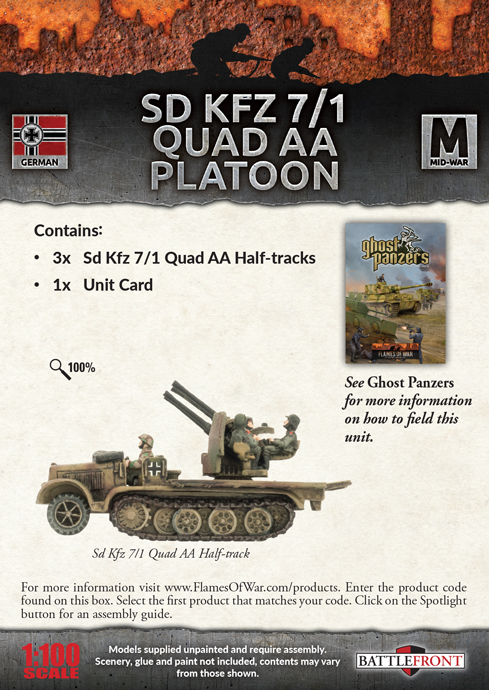 includes three resin and metal Sd Kfz 7/1 Quad AA Half-tracks and one Unit card. 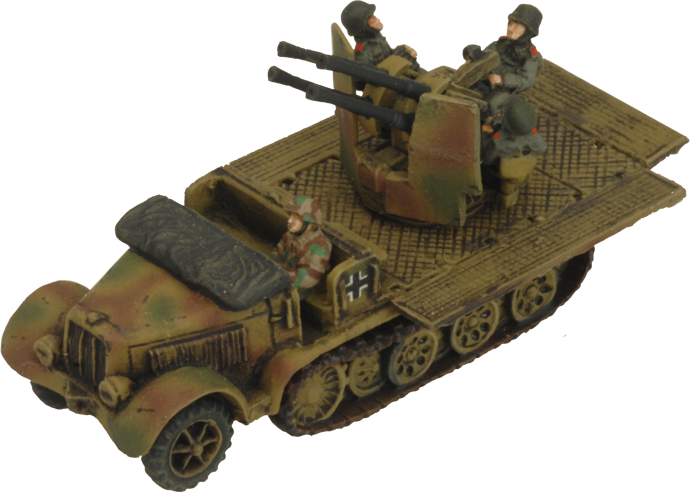 The Sd Kfz 7/1 half-track was armed with a quad-firing 20mm anti-aircraft gun, giving each vehicle a tremendous rate of fire of 1800 rounds per minute. 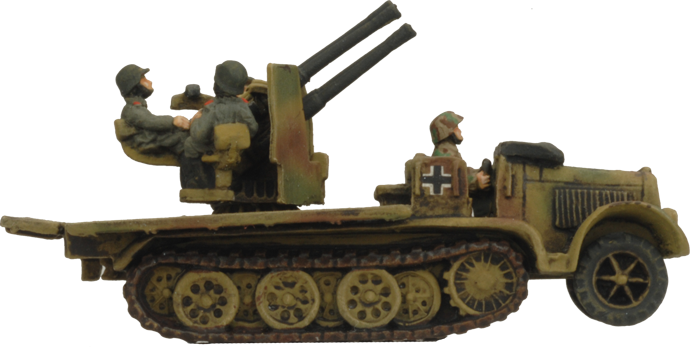 With that much fire in the sky, Soviet aircraft had a very difficult time attacking panzer spearheads.